SCVO – January Resolutions – get fit, governance style! January Resolutions – get fit, governance style! The gyms are full, the diets everywhere, and the alcohol all dried up. But what are you doing to ensure a healthy board for 2019? November 2018 saw the launch of the new Scottish Governance Code for the Third Sector and my New Year’s resolution (in a work context…) is to promote better understanding and uptake of the Code in third sector organisations across Scotland. Disappointingly so many responses reveal that trustees are either unfamiliar with their governing document, or it is so out of date, that it is no longer fit for purpose. 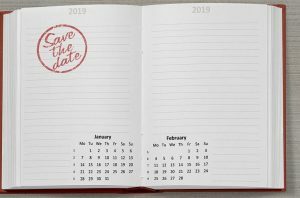 That’s why January 2019 is an ideal time for you to dust off that constitution from the back of the filing cabinet and check that it really reflects how you should be operating to best achieve your organisational purpose. As a board you’re there to direct the activity of your organisation and deliver its stated purpose So every trustee needs to understand and commit to what that purpose is and ensure that all your activities are in line with what you were set up to do. But that’s not all. Your governing document should also clearly set out how you govern and make decisions. Every trustee needs to understand all of the clauses. You’re in management and control of your organisation and you need to know what all the legalese really means in practice. Do the clauses covering election, retiral and re-election of trustees every year work for you? So many organisations find the constitutional requirements for this confusing. You need to have a formal and transparent system for both the recruitment and removal of trustees, preferably with fixed terms of office, and the process for this needs to be easy for all to follow. What about if you’re thinking of having a paid member of staff on your board? You first need to check that your constitution allows this. Also, remember that charity law requires that less than half of charity trustees can be paid. Once you understand the language, check the maths. Make sure your constitution sets out what our minimum number of trustees should be. It’s good practice, essential if you’re a SCIO, to have a minimum of three trustees. You should also have a realistic figure for what your quorum needs to be for trustee meetings. It’s no good if your constitution states that you need eight or nine trustees, when on a good night you can only gather five, and so cannot make effective decisions. So this is a call to get fit to govern in 2019 and give your constitution a work out. Put aside time at your next board meeting to review and even refresh. If you need help, the SCVO Information Service offers up to two hours free legal advice to SCVO members with an income of less than £500,000, which can be used to look at any specific constitutional conflicts you may have.